Long regarded as the most beautiful island amongst the Cyclades, it used to be that Sifnos was a hidden retreat reserved only for native Greeks. Now, the rest of the world has caught on and while the island is still gorgeous, it can be rather frustrating to travel there in the height of summer, particularly in August, unless you book your trip well in advance. 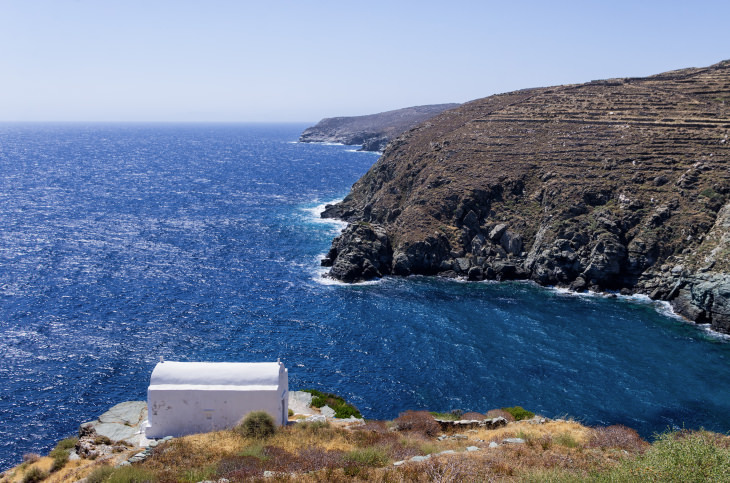 For those who are able to find a place to stay and also a car to rent, Sifnos makes for a worthwhile and relaxing escape – you just need to know where to go to avoid the bustle. Like most Greek islands, traditional life on Sifnos seems to move at a much slower pace than what we’re used to. This is the main thing that draws people to the island. 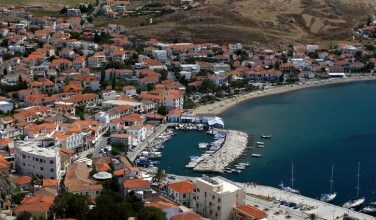 There’s a balance here between gorgeous scenery, relaxing beaches, traditional village life, and enviable nightlife that’s on par with some of the larger cities in Greece. Simply being on the island forces you to slow down and enjoy the finer things in life. 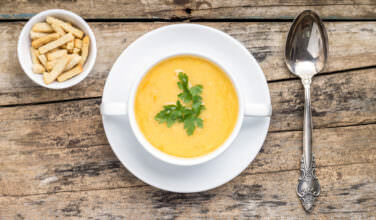 In the case of Sifnos, this means basking in the hot sun, enjoying crystal-blue waters, and enjoying the tastiest parts of the Greek culture – its food and drink. If you love to walk or hike, you’ll find good company here. Barren mountains hug some of the coastline, while marble paths wind their way around the villages and landscape throughout the island. All you need to do is pick a path and start your journey – just to see where it will end up. Some of these paths are still used by the locals on the island, and may have even been there for centuries. If you want to take a more organized approach, you could always hire a guide to lead you through some of the best trails, or ask at your hotel for advice. Don’t let these traditions fool you, though. The people of Sifnos enjoy all the modern conveniences that we do. It’s just that they understand the value in living life at a slower pace. 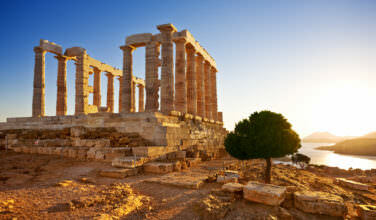 It’s surely much better for your health, and you’ll find that while you’re here, the combination of walking through the ancient terrain, relaxing whenever you can, and eating delicious Greek meals made with only the freshest ingredients, to be an elixir that will lift your spirits long after your trip is finished. One thing that truly stands out about Sifnos is its historic landscape. Be sure to visit the historic Seven Settlements because each one has its own character. Kastro, for example, is a fortified village that was founded in the Middle Ages. Much of the original wall is still intact. However, it’s actually been inhabited for the past 3000 years, and remnants of this ancient history are constantly being discovered. Don’t forget to stop in on the archaeological museum once you’re finished exploring. It gives a nice history of the island! 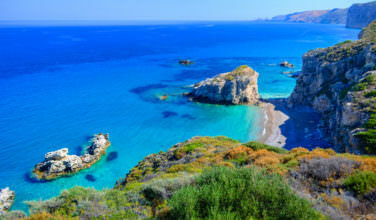 Sifnos is more than just another Greek island. It’s extremely unique and once you spend time here, you’ll understand why it’s regarded as the most beautiful island in the Cyclades.